Believe it or not we still don’t really know how muscles grow. The scientific literature provides multiple lines of evidence that all contribute to our understanding but we still don’t have definite cause and effect proof of the exact reason of how we grow and why that grow is limited. We know that you have to do some sort of resistance training on an regular basis to stimulate muscle growth, and we know that age, intensity and diet (to some degree) have an influence. And finally we know there is a big difference in the amount of muscle you can grow when using anabolic steroids. 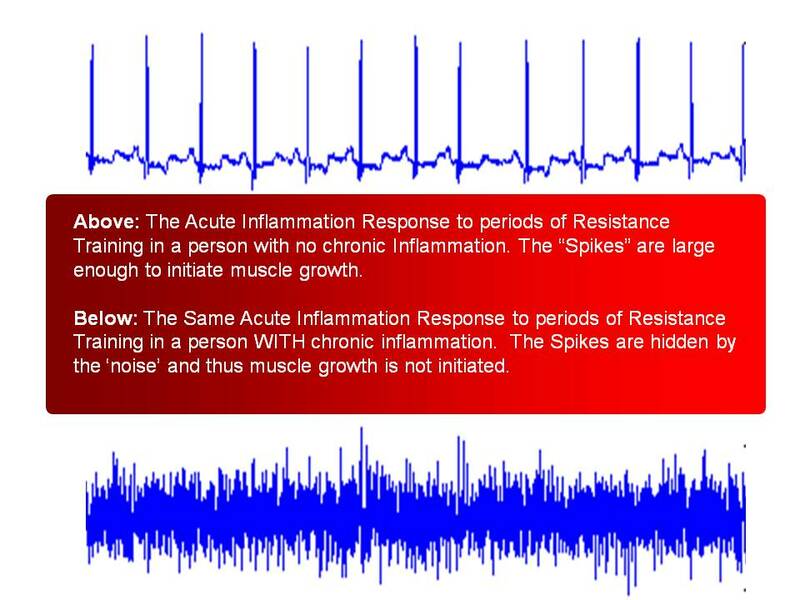 Given all of these facts we are proposing a new theory that chronic inflammation is the rate limiting step in muscle growth. Bulking up to gain muscle might actually have the reverse effect and ruin your chance to build muscle. This also explains why guys on steroids can have success ‘bulking up’ on massive calories and gain muscle, while a non-user will just create massive inflammation and thus destroy any chance of muscle growth. The chronic north american lifestyle disorders may all be contributing to a lack of progress in your muscle gaining efforts. The best way to gain muscle is to stay lean year round and avoid overeating or any fat gain. This is definitely an eye opener, but if you stop and really listen to what is being said in today’s podcast most of the points likely fit with what you’ve observed in yourself and in other people around the gym.